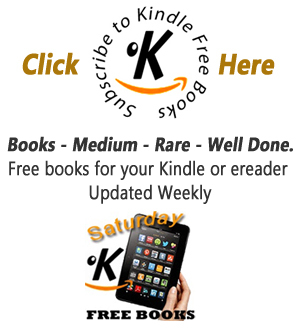 Kindle Free Books offers a new Kindle ebook every day for FREE. I don’t know how to tell you what I did. Would you read a letter never meant to be opened? Would you want to know secrets never meant to be told? Or should a woman's mistakes stay buried? An unfinished letter was hidden amongst Tara and Emerson’s best friend’s things after her suicide. Noelle was the woman they entrusted to deliver their precious babies into the world, a beloved friend. Her suicide shocked them both. But her legacy could destroy them. For her letter reveals a terrible secret that challenges everything they thought they knew. Taking them on a journey that will irrevocably change their own lives – and the life of a desperate stranger – forever. “A marvellously gifted author. Every book she writes is a gem.” Literary Times Diane Chamberlain Gets to the heart of the story. 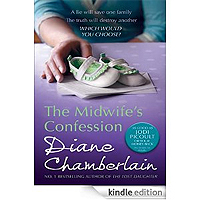 The Midwife's Confession' is brilliant!! Noelle is the midwife in the story, and Emerson and Tara are her best friends. Or so they thought. As Noelle's story unfolds, it becomes apparent that no one really knows her - not her friends, lovers, colleagues, or anyone. Her life is so entwined with those of Tara and Emerson, in ways that they had no idea of. Tara is married to Sam, and has a daughter, Grace. Emerson is married to Ted, and has a daughter, Jenny. Jenny and Grace are best friends, just like their mothers. Noelle is the midwife who has helped many women in their hour of need, assisting the birth of their babies, encouraging and supporting them. However, it soon becomes apparent that all is not as it seems, and that Noelle is nursing a dark secret that threatens to overwhelm everyone. Basically, this book illustrates that we never really KNOW anyone - we only know the bits that they want to share with us. The truth will ALWAYS come out, bringing devastation and destruction with it. This is such a well written, well plotted book, with totally believable characters. I thoroughly enjoyed it, and would happily recommend it.